HAMBURG/BERLIN (Reuters) -- Volkswagen's core autos division will likely plunge into a loss this year as it is set to shoulder the bulk of the costs from the fallout of the company's rigging of diesel emissions tests, two company sources told Reuters today. VW's namesake brand accounts for about 5 million of the up to 11 million diesel vehicles worldwide that need to be refitted because they could carry software designed to manipulate emissions tests. Europe's largest automaker is setting aside 6.5 billion euros ($7.4 billion) in the third quarter to cover servicing and marketing outlays related to the scandal. One source said the bulk of those costs would be booked to the main brand's accounts. 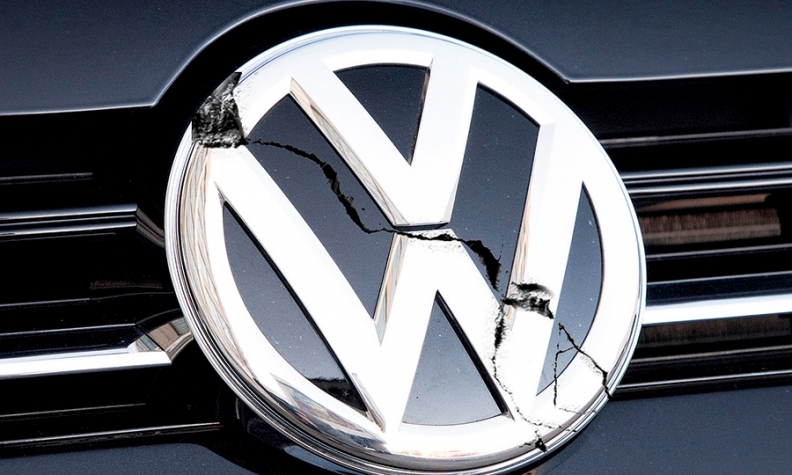 German magazine Der Spiegel reported the possible loss at VW's largest autos division by sales and revenue earlier on Friday. VW declined to comment. The biggest business crisis in VW's 78-year history has wiped more than a third off its share price, forced out its long-time CEO, prompted investigations across the world and rocked both the car industry and German establishment. Third-quarter group results, due to be published on Oct. 28, will also reflect 500 million euros of costs for restructuring in Brazil and Russia as well as 1.4 billion euros in gains from VW's sale of shares in Suzuki, Tonn said. VW's namesake brand contributed 1.43 billion euros or 21 percent of the group's 6.82 billion half-year profit, which included strong performances from premium brands Audi and Porsche.